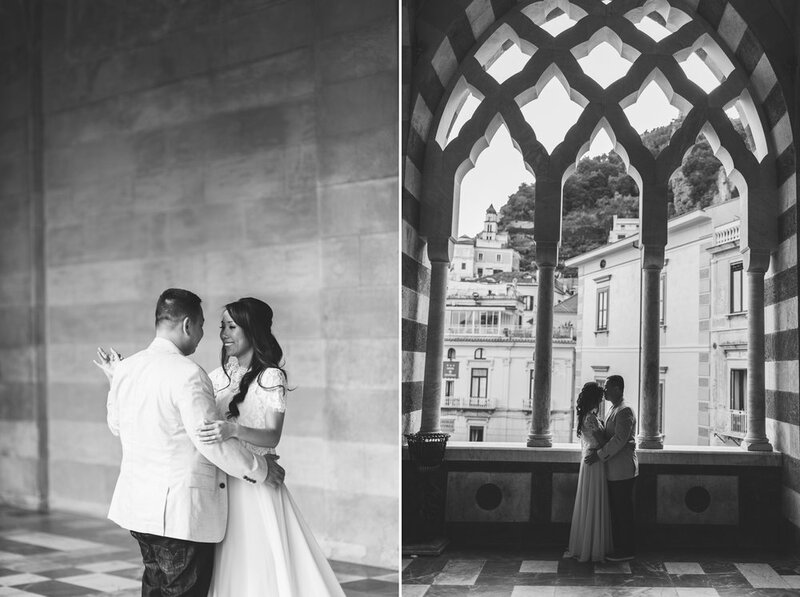 People often don't realize that Amalfi is actually a little town, the one that gives it's name to the entire Costiera Amalfitana. It is now a little tourist town but in the 11th and 12th centuries the town was the center of it's own Republic, and a mighty naval power & trade port with North Africa. 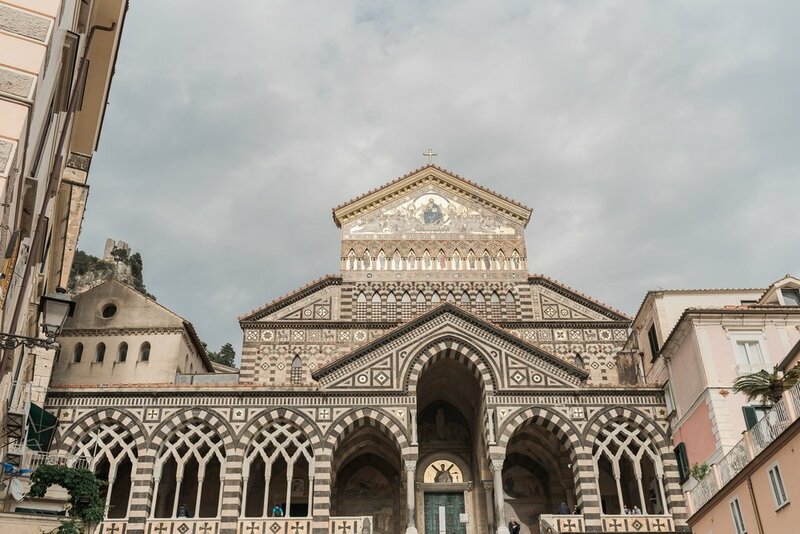 The town has stunning Arab-Sicilian architecture and is well worth a visit when visiting this part of Italy. 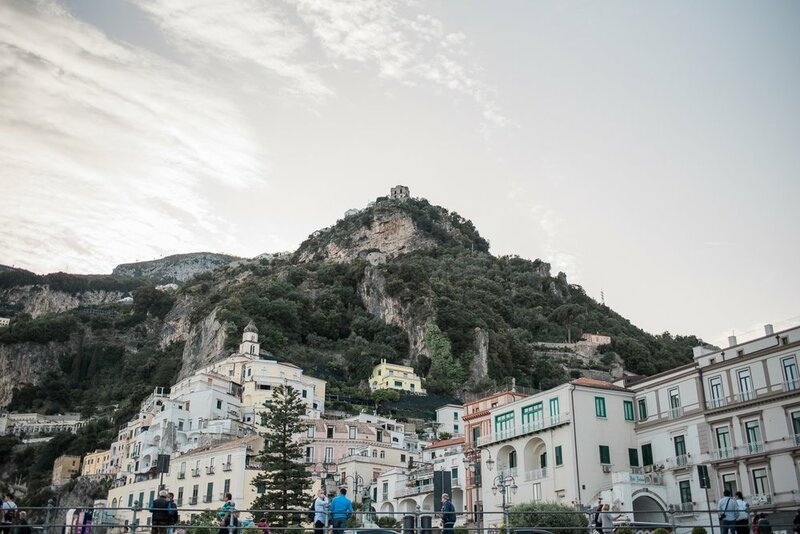 These days Amalfi can be quite crowded, but the lovely beaches, seaside cliffs, quaint restaurants, and magnificent views make it irresistibly picturesque. 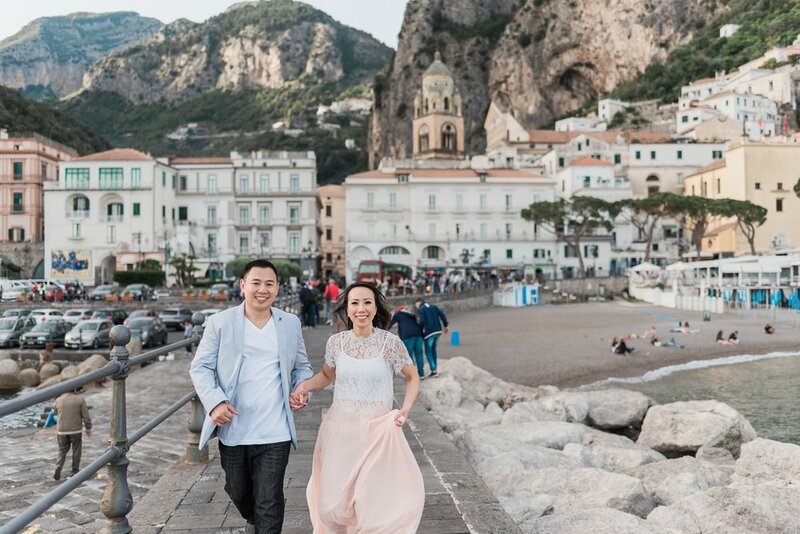 So when Hong contacted me from Texas to photograph her engagement in Amalfi I was so excited to have my first photoshoot in this beautiful little town.